100% Arabica. 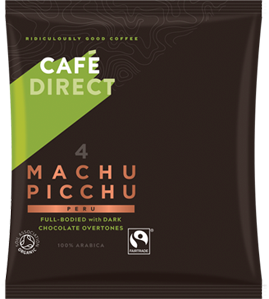 All beans are roasted to perfection and packaged in 1kg bags. With a base of organic Arabica coffee from Peru and East African Robusta, this blend has notes of cocoa, liquorice and a deliciously heavy mouthfeel. with friends or have important deadlines to meet. large catering packs, we have the right solution for you. Finding it hard to choose between espressos? 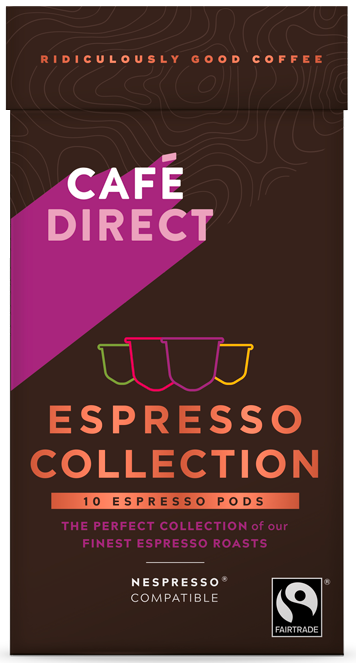 You’d like a different espresso for every occasion? Take a look at our Explorers edition. 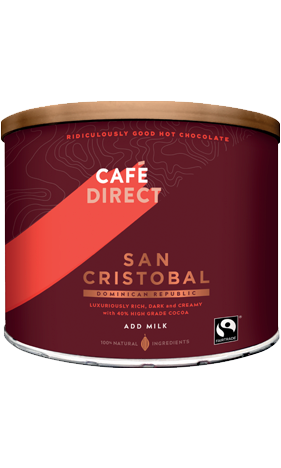 Add your favourite milk to this single origin hot chocolate and enjoy its luxurious and velvety feel. 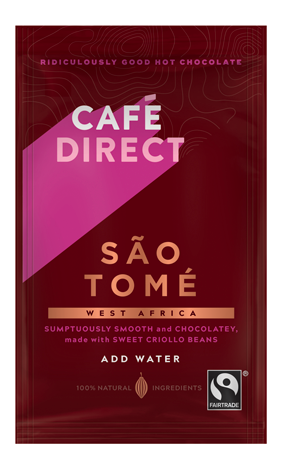 Add hot water and experience the delicious, sweet and delicate cocoa which gives the São Tomé its rich, smooth taste. 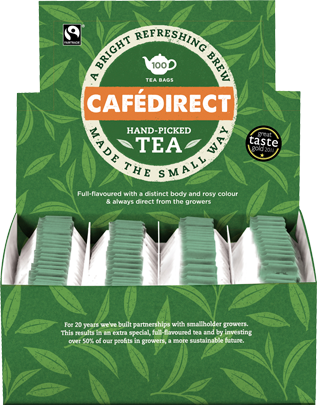 Dedicated tea and blend specialists source and create quality, vibrant teas that appeal to the growing number of fruit and herbal consumers. 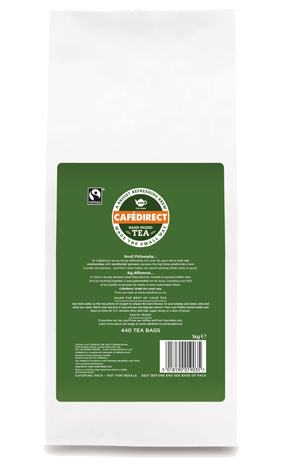 We source all our teas honestly and know where it’s been from bush to cup. 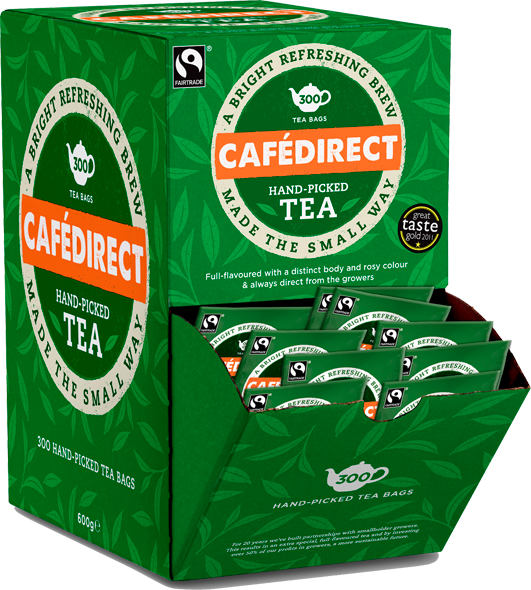 On top of that we’re fully Fairtrade and free from artificial flavourings colourings and preservatives. Discover the range – only available in foodservice. 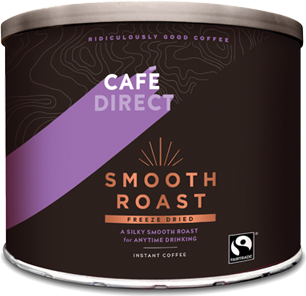 Our Handpicked specialty coffee range is available for foodservice now. Offering you only the highest quality beans from micro-lots around the world, they are small-batch roasted to perfection in our London Fields Roastery. 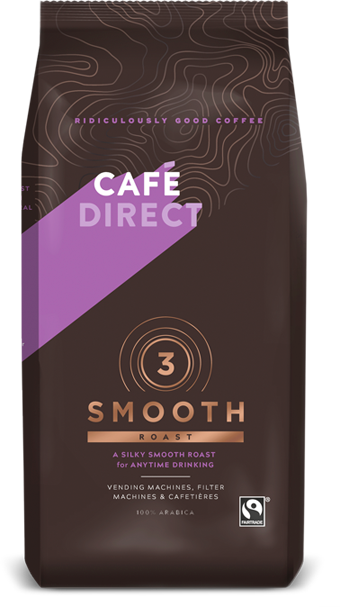 Baristas will love our Handpicked Espresso 1kg beans, as well as our bi-monthly Single Origin coffees, giving you a new coffee adventure every two months! Explore the world one coffee at a time. The theme of this year's International Women's Day is #BalanceforBetter. Gender Equality is an active talking point amongst members of Cooperativa Agraria Cafetalera (CAC) coffee co-operative in Northern Peru, where Silvia is determined to encourage other female farmers to join her in improving their crops and gaining financial autonomy. 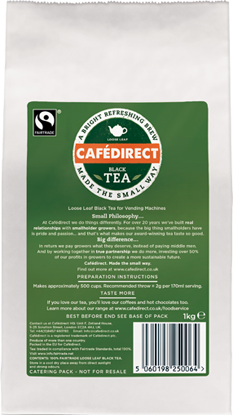 This year, Cafédirect will be celebrating 25 years of Fairtrade. 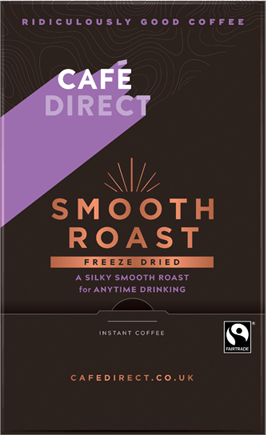 As one of the original pioneering brands who first certified as Fairtrade back in 1994, it is exciting to see how far we’ve come! However, as coffee prices continue to fall, it's important to understand why Fairtrade is still vitally important to growers. © Cafedirect 2019. Cafedirect PLC Registered in Scotland. Registered Address: 4TH FLOOR, 115 GEORGE STREET, EDINBURGH, EH2 4JN. REGISTERED NO SC141496. Stay in the loop with our latest news, competitions, product launches and promotions. Please use this form to update your details and preferences.